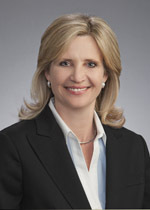 Sharon Spurlin has served as Senior Vice President and Chief Financial Officer of our predecessor since 2009. Ms. Spurlin also served in that capacity for PL Midstream, a prior investment of Lindsay Goldberg related to the energy and petrochemical logistics sector. Ms. Spurlin is responsible for overseeing our accounting and financial reporting functions, business banking relations, treasury, procurement and information systems. Ms. Spurlin was employed by Plains All American Pipeline, L.P. from September 2002 to June 2009. During that time, Ms. Spurlin served the Director of Internal Audit and then as the Assistant Treasure. Prior to joining Plains All American Pipeline, L.P., Ms. Spurlin held the roles of Controller and Director of Financial Analysis for American Ref-Fuel Company and was an audit manager for a public accounting firm. Sharon earned a BBA in Accounting from Texas A&M University at Kingsville and is a Certified Public Accountant in the state of Texas.